This analysis is interesting and enlightening; of course, what is difficult for many people who up to 2010 supported the Liberal Democrats, like myself, is that, by going into coalition with the Tories, they have signed up to this illiberal, Conservative frame; hence their dramatic loss of support; it is as if they have lost their moral compass; they are now trying to regain it by highlighting the empathy frame, but I think that it is too late, unless they make drastic changes to their leadership–including Vince Cable as well as Nick Clegg. Another way of looking at that is that the Liberal Democrats were very good at positioning themselves as being liberal, when in fact they were at best “socially liberal but economically conservative” – as mentioned above. The Liberal Democrats tended to thrive in small ‘c’ conservative communities, where people had little objection to a person being gay, but were fiscally conservative. That’s a very good point, although the economic conservatism only applies to a section of the Liberal Democrat Party, the Orange Bookers; but this is economic liberalism, also espoused by the Tory Party since the leadership of Margaret Thatcher and the influence of Sir Keith Joseph and others; in any case, I think the positioning you mention has become harder since they joined the Coalition. It is harder for them to maintain that they uphold the virtues of empathy and compassion. How exactly are people who inherited great wealth self-reliant? How are people who manage to survive on measly benefits not incredibly self-disciplined? Has George Lakoff ever explained this? 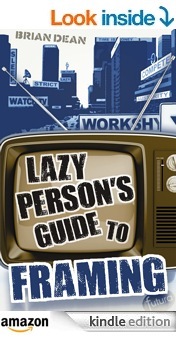 You are absolutely right; however this is the way both are perceived according to this Conservative frame; and of course, this is translated into popular discourse, with phrases such as “hardworking families” (used by Labour as well as Conservatives) and the image of unemployed people lying in bed while their employed neighbours go to work. In fact, many politicians come from privileged backgrounds which gave them a lift up; that includes Ed Milliband; an exception, of course, is Alan Johnson; but when Labour gained power in 1964, such people were far more common. Good points. People who inherit wealth aren’t seen as self-reliant, which is why the notion of inherited wealth is not something that’s talked about much in conservative PR. The only exception is when defending the right to keep inheritance – ie to not pay tax on it. In that case the argument again turns to the self-reliance of those who originally “created” that wealth. Why shouldn’t they do as they please with their deserved wealth – including passing it onto their offspring (without the government pilfering part of it). On the self-discipline of surviving on little, that is also part of the rags-to-riches mythology (again, the frame of self-reliance & self-discipline = great moral good). But just “surviving” isn’t good enough in this narrative, especially in the long-term. They should be building sucessful businesses like all those entrepreneurs who started with nothing. Nonsense, of course – but that’s the deeply-entrenched framing in our culture. In a way, emphasising the self-discipline of those on benefits just reinforces the conservative frame. Some people aren’t self-disciplined according to the narrow economic definitions of others. They thus suffer great stigmatisation. Your comment reminds me of Bounderby in Hard Times, who tells a story of his own rise from neglect and impoverishment which is exposed as untrue when his mother turns up. It's my understanding – and Lakoff's – that all of this has to do with neural circuits in the brain. Just reading your piece, or finding out your name or reading the back of my cereal box as I try to wake up changes my brain. Major clusters of neural circuitry "know" about nurturing attitudes and behavior; other competing circuitry "knows" about Authoritarianism. This is all fleshed-out, big-time, by Lakoff's colleague at Berkeley, Jerome Feldman, in his highly readable book _From Molecules to Metaphor_. I read everything from this wonderful blog, and, as I see it, it all has metaphorical frames, which are PHYSICALLY instantiated in our brains, as the underpinning. This is not metaphysical stuff; it is physical. Neurons and neural clusters are embodied, and when they're buzzed with language, they activate. Sorry if this all seems too dramatic! That’s very kind of you, thanks. And you make a great point on physical “instantiation”. (I haven’t read Feldman’s book yet – thx for the tip). Years ago I read a fascinating book by Ernest Rossi, called ‘The Psychobiology of Mind-Body Healing’. He went into a lot of detail on how our ‘opinions’ and ‘outlook’ (etc) in a given moment are “embodied” (to use Lakoff’s term, not Rossi’s – the latter, as far as I can remember, used the terminology of Ericksonian hypnosis combined with more technical neurological jargon) – and change as our “mind-body states” change. So, for instance, when we’re “depressed” we might have a set of opinions and memories which we simply don’t access when we’re happy, and vice-versa. And in ‘altered’ states, the logic of our opinions changes. And, of course, if we’re in a constant state of anxiety, not only don’t we “think straight”, but (according to Lakoff) the conservative moral frames tend to get “activated” in our brains, more than they would without all that anxiety. I’ve noticed, though, that some (influential) people who agree with most of Lakoff’s work on semantics/language are put off a bit by the neuroscience – the physical brain-change apsect – which they see as unnecessary “scientism”. For me the physical-brain aspects seem the best model to explain why, for example, some ways of thinking seem so persistent in us, despite our best attempts to eradicate them. To really “change your mind” mostly seems like the long-term effort required to build muscle or learn physical skills (at least in terms of repetition/persistence required). Brian: You remember Rossi well. I think he was ahead of his time. Robert Anton Wilson turned me on to The Psychobiology of Mind-Body Healing, and I’ve returned to it many times since I first read it. Your observation about certain readers of Lakoff being put off by the neuroscience: aye! Tis a meaty issue, but where do they think ideas come from? Some Platonic disembodied Realm? I do think many well-educated liberals who read Lakoff shy away from the neuroscience because it feels too conspiracy-theory-ish. And as Lakoff has pointed out time and time again, far too many educated liberals are living in the Enlightenment’s “disembodied” and “pure” rationality…which doesn’t exist! The brain stuff? What? Are we getting too close to talking about what we write or say is LITERALLY changing peoples’ brains?